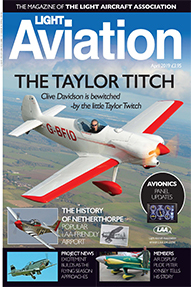 Click here to see details of latest issue. 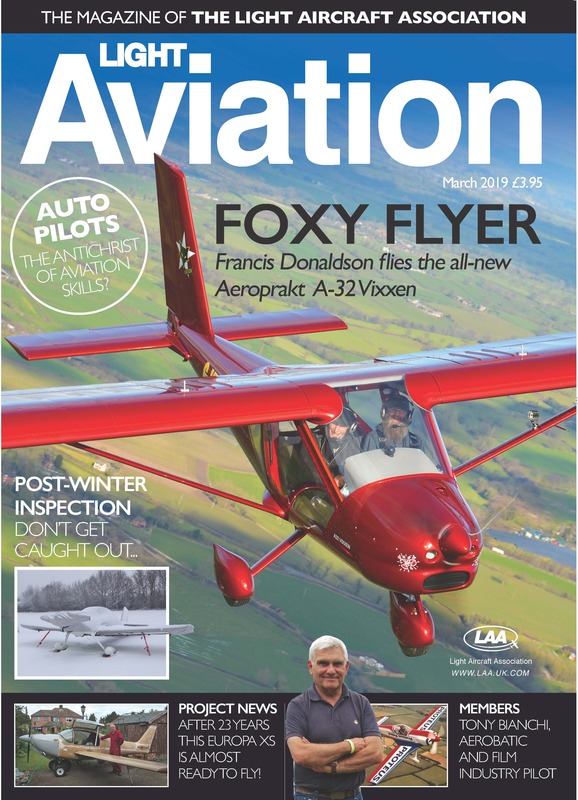 Light Aviation magazine brings you exciting articles about what LAA members are building, restoring and flying. Reports on all the major rallies and GA shows and information about new products and services. 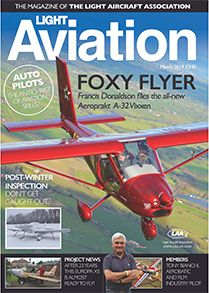 Light Aviation magazine keeps you informed of engineering issues to help you ensure that your aircraft is kept in tip top condition. Our Safety Spot and Engineering articles will form a vital information source for future reference. For commercial advertising, please contact Neil Wilson to discuss your requirements. For classified ad queries please contact Sheila Hadden. Classified ads and photos can only be accepted by e-mail. Classified ad fees can be found here. The Editor, Brian Hope (Tel: 01795 662 508), is always keen to receive your contributions of articles, pictures, technical ideas and letters.